The CLAMP School is famous not just for being the world's most prestigious academy, but also for its students' penchant for partying. Scarcely a week goes by whent here isn't a festival, dance or athletic event. 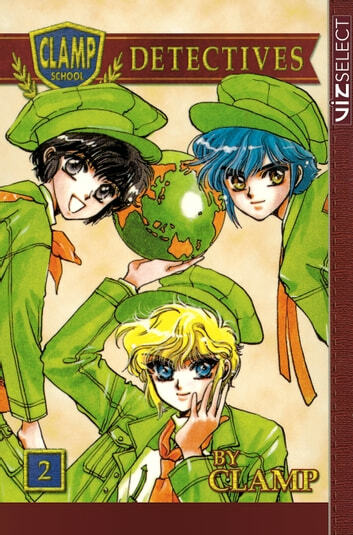 With so much going on, there's plenty of opportunity for something to go wrong--fortunately the CLAMP School Detectives are eager to protect all the school's goings on...especially ones in which young ladies are likely to attend. Nokoru Imonoyama is founder and leader of the group--an uber-genius who can detect a woman in distress from two kilometers away. Suoh Takamura is a class secretary and a martial arts master. Akira Ijyuin may be the youngest detective, but he's also one of the world's top chefs. 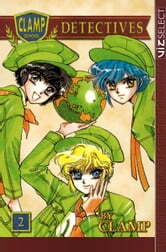 Celebrations, apparitions and gastronomic sensations--they're all part of the job for the CLAMP School Detectives!